Royal Trucks are primarily a Skateboard Truck manufacturing brand, although they do also produce a range of apparel. Based in Torrance, California they were founded in 1999 by Rudy Johnson and Mariano. Having had a long history they've built up a good reputation for being a good quality yet lightweight truck. Unlike other brands Royal have quite a standard design across their range with no gimmicky features. But are they any good? Find out what with think in our full Royal Trucks Review below. Royal Trucks offer quality trucks and a huge product range, endorsed by a lot of influential pro skaters, such as Daniel Espinoza, Justin Eldridge and Vincent Alvarez. 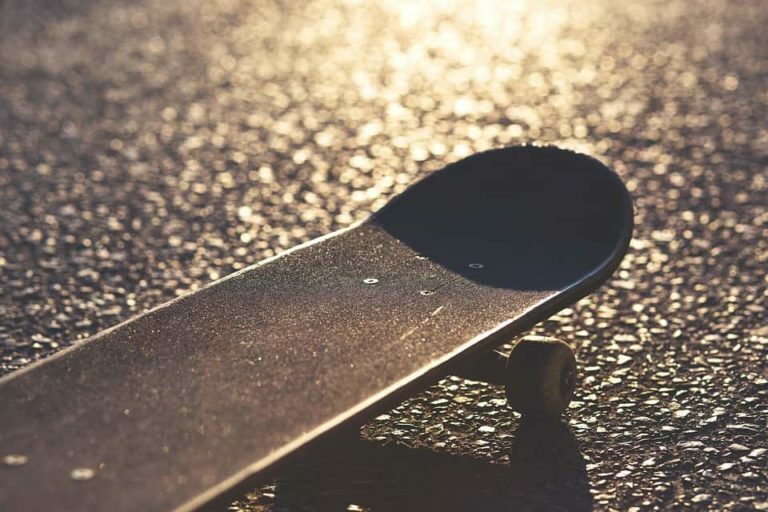 They are distributed via the Girl Distribution Company, who also distribute popular skateboard brands such as Girl, Chocolate, the clothing company Fourstar Clothing and the Skate Shoe company Lakai. The brand is trusted to deliver excellence and reliability to its customers, promising a “Guaranteed for Life” warranty plan, that allows customers to receive a new set of trucks, for free, as long as it is no fault of the rider. There’s a huge range of Royal trucks to choose from, with the lineup changing regularly. All Royal Trucks are available in a Standard height, with the usual 5.0”, 5.25” and 5.5” widths you’d come to expect. Certain Trucks in the Royal range, such as the Raws also come in the popular Low height, it is worth noting that their Low trucks only come in 5.0” and 5.25”. 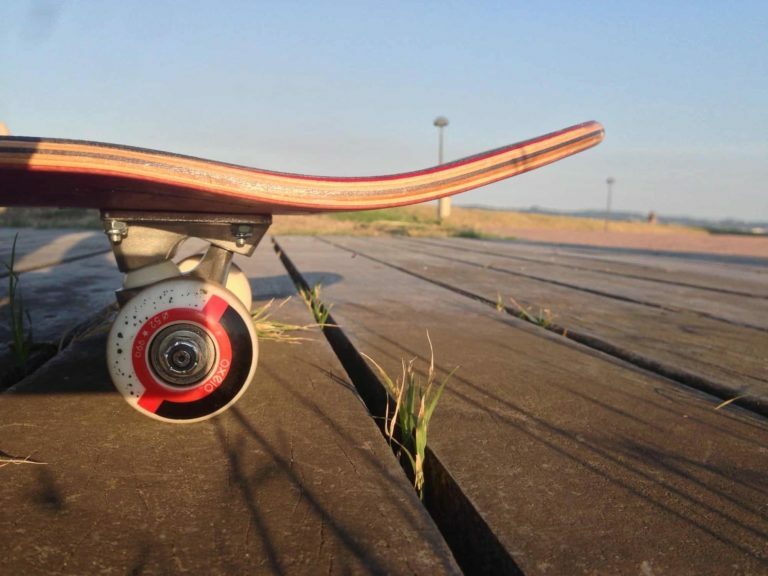 Experienced skaters know, that trucks are literally the ‘glue’ that holds your whole board together and there is simply no point on compromising quality, especially if your board gets a lot of use. Choosing the right trucks can also be a hard decision at times and will of course depend on the type of skating and personal preferences. We take a look at some of the most popular Royal Trucks below. This classic geometry truck, with a 5.25” hanger and 8” axle has built up a reputation of being one of the lightest trucks around, whilst still maintaining a lot of robustness. 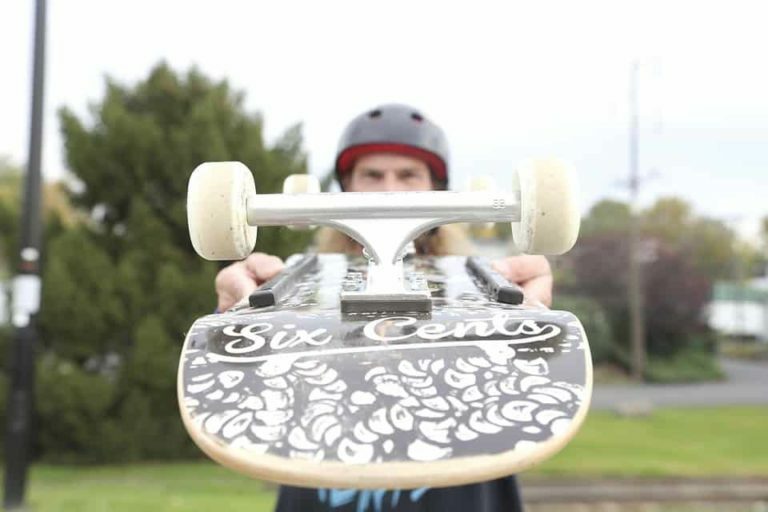 There are also other sizes available to suit a wide range of decks and the reinforced quality has a good reputation among the skateboarding community. They are moderately priced as well, and like most Royal trucks, will fit most standard and/or low profiles. All in all, general performance and durability is good, providing a good ride and good value for money. There are obviously more extravagant trucks out there, but these are a solid product for a solid price. Although its unique cute cloud graphic and blue baseplate may divide opinion. 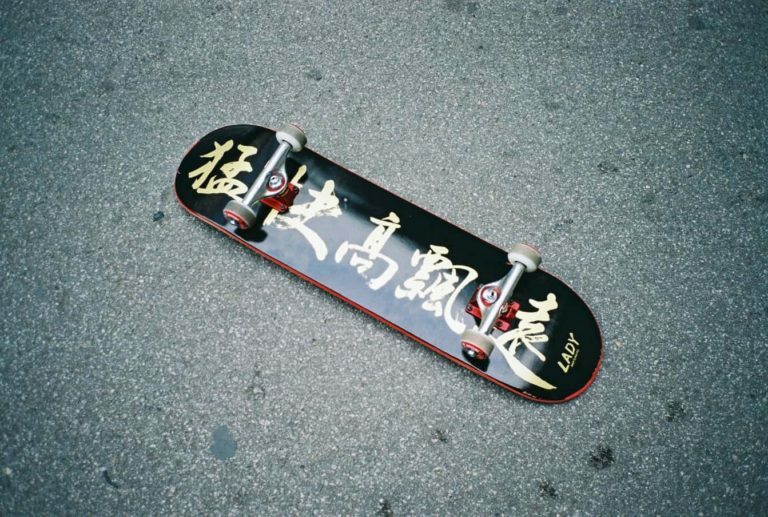 We think this collaboration between Royal Trucks and their distributor Girl Skateboards looks awesome. They are noted by many as having an impressively short amount of riding needed to wear the bushings in, with some quoting as little as two hours before a controllable smooth ride is achieved. At a competitive price point, this joint venture is definitely worth looking at if you want something different. These slightly more elaborate and extravagant trucks are bound to be the envy of other guys in the skate park, due to their striking look and bold silver & black color contrasts. They are the signature trucks of pro MikeMo who has been on the scene for quite some time, and rides for Girl Skateboards. The question still remains whether or not these trucks are more style over substance and whether they can compete with the more simplistic Royal Raws trucks. But we personally like the colorway and the fact they are backed by one of the hottest skateboarders right now. Overall Summary - Should you buy Royal Trucks? When it comes to skating, there is perhaps no part more important than the trucks, as these become the part of the board that bares the most load during Kickflips, Hardflips, Heelflips or hell, whatever kind of flip you want to attempt. These can often be overlooked by inexperienced or novice riders, who would concentrate more on getting a sweet deck. Royal have a great range and there’s no denying that their Pro trucks and Collaborations look great, however we think for the price point the Standard Royal Raw's make an excellent choice and that's why we've included them in our roundup of The Best Skateboard Trucks available.